WHAT DID JESUS MEAN WHEN HE SAID?? “Some things that Jesus said made more sense in the context of Judaism than Christianity. 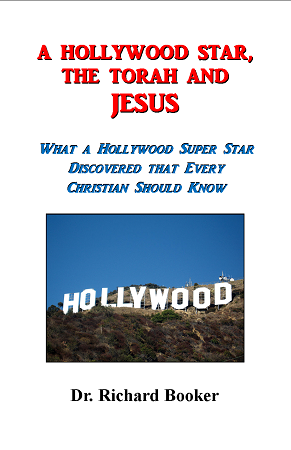 Of all the things I read of him, the one that influenced me most was this speech of Jesus recorded by the gospel writer of Matthew.” The above statement was made by one of the most famous movie stars in the history of Hollywood. While reading the gospel of Matthew, he discovered that Jesus was a Jewish rabbi who taught the Word of God in the context and culture of the Jewish people. In this groundbreaking publication, Dr. Richard Booker explains some of the most misunderstood words of Jesus. He puts you in the first century audience of Jesus so you hear the Lord’s words as He intended them to be understood. Was Jesus really a pacifist? Would He “turn the other cheek” to terrorists? What does it mean to be perfect?